Zhou Xun: Zhou Xun Promotes Her Latest Film "Ming Ming"
Chinese actress Zhou Xun's latest film "Ming Ming" is slated to open in Chinese theaters on April 26. The film was highly praised at the 11th Pusan International Film Festival in South Korea last October. Chinese actress-turned-singer Zhou Xun Thursday in Beijing released her new music vedio "Look Look," which is also the theme song for her new action film "Ming Ming." Collaboration between Zhou Xun and Hong Kong singer Anthony Wong, the music mix the rock style with electronic flavor, which exactly meets the tune of the story about the legendary women in a modern city. 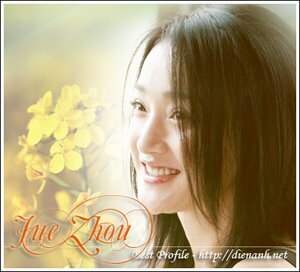 Zhou Xun plays two of the leading roles in the film--the Twins, Na Na and Ming Ming, with absolutely different characteristics and personalities. Na Na is a passionate and hot modern woman while Ming Ming is quiet and soft. The two girls fall in love with the same man, played by Hong Kong actor Daniel Wu. Zhou Xun takes off the classical looks and music as she did in her previous films like "The Banquet," and she tries a different modern style of both appearances and the theme songs in the new movie. Zhou Xun said she always liked to try different things. She tried a different modern song in the film. Xun said "I like it. I think singing the same style of songs is not an interesting thing. Just like an actress trying different roles, you can taste a variety of music"
The film is the first feature-length production from director Susie Au, who is better know for making unique music videos. Co-starring Taiwan singer and actor Jeff Cheung, the film has aroused many interests from the audience when it gave a preview in Hong Kong last week. The Hong Kong film critics circle called it a new film genre that we have never seen before.